1394B Beta Firewire Cable 9 Pin 9 Pin 10 Meters. 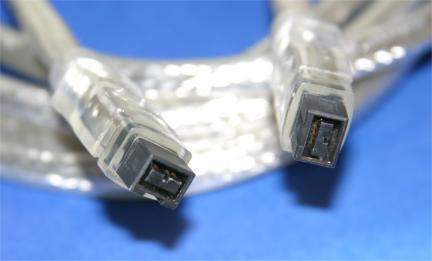 Premium Firewire Cable made fro Data Transfer at Hi-Speed between two Firewire Devices. Works up to 800 MB per Second. Mass Storage Systems - RAID, etc. How does PCCables Exceed the 4.5 meter cable length for 1394B! Our Firewire Cables achieve this thru larger wire gauge to cut Resistance on the Power and a tuned cable design that allows for low Skew, Attenuation and Crosstalk. These additional Design feature along with Top Quality Connectors allow us to break the Firewire Length Limit and work up to 20 Meters.